During the drag racing boom of the 1950s and 1960s, drag strips popped up all over the place. Big cities, suburban areas, and tiny towns had their own drag strips, so it was possible for racers to compete at a variety of tracks without traveling very far. I’ll call it a “drag racing hub,” where racers could travel 100 miles or less in any direction and come across well over a dozen places to race. There were many hubs across the country, but the one focused on here is around Chattanooga, Tennessee. There were also numerous choices in northern Tennessee, as well as a plethora of tracks in northeast Alabama and northern Georgia. Each track had its own personality and catered to a diverse group of cars. 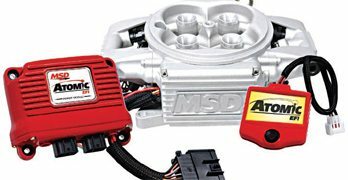 Some tracks were large enough to attract the big names of the sport, while others kept it simple with their own brew of homegrown drag racing classes. The West Coast guys might have had Southerners covered on track quality, but this particular drag racing hub won the battle of quantity with a total of fifteen tracks within a 100- mile radius of Chattanooga. In the 1960s, the big-time racers didn’t mind traveling for days to attend a national event, but the low-buck guys usually stayed fairly close to home. That example of a 100-mile radius made for a two-hour trip to the track in most cases, so it wasn’t a very long haul. Most guys at small-town tracks couldn’t afford to haul their cars on a fancy ramp truck or a trailer, so it was quite normal to see a gasser being flattowed behind a clapped-out pickup truck or station wagon. Put another way, if you pulled up to the track with your car on a trailer, you obviously had a “big money operation.” Of course, all of this changed as time went on, but it was a pretty big deal in the early days. Sticking close to home was never an option for the wellknown racers, because the real money could be found only at national events and well-promoted match races. But small tracks were notorious for drawing a big crowd for a match race—it was the modern-day equivalent of having Tony Schumacher and Larry Dixon in a Top Fuel match race at your hometown track today. That stuff just doesn’t happen anymore, but in the 1950s, 1960s, and 1970s, racers were not opposed to putting it all on the line under what we now consider dangerous circumstances. 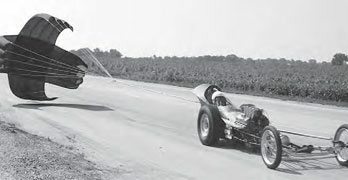 Many small-town tracks didn’t have guardrails, safety/medical personnel, or a particularly good racing surface, so turning a nitro-injected drag car loose didn’t always end well. It may have been exciting but that doesn’t mean it was safe. There were a great number of cities where drag racing was plentiful, but the example of Chattanooga, Tennessee, was chosen here because of its popular location and great mix of racing action. The little tracks in this area didn’t hold a candle to the likes of Lions, U.S. 30, or Gainesville, but they meant the world to the folks who raced there so many years ago. It would be a shame to bypass these smaller tracks, when there is a wealth of information, pictures, and stories to be shared. 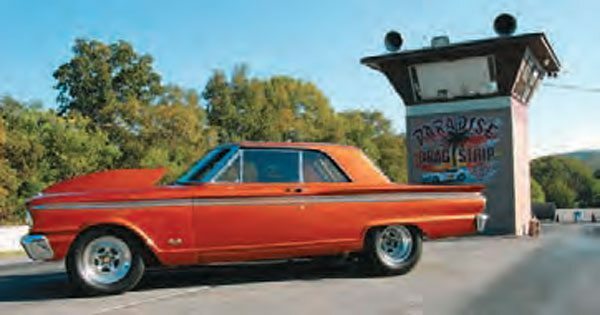 With such a rich history, and a huge following of racers and spectators, the Chattanooga, Tennessee, area suffered a great loss when various drag strips began closing. For years, the limited selection of drag strips caused a lack of interest, which certainly didn’t help the hobby. In this particular area, most of the tracks closed prior to the economic down-turn of the late 1970s. Many of these tracks were small, outlaw operations with very little safety equipment, so the Yellow River crash in 1969 made it tough for the track owners to continue operating on the edge. 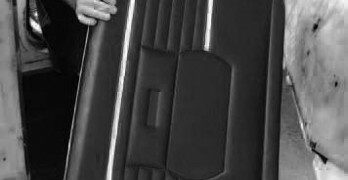 Many factors went into the decreasing size of this particular drag racing hotspot, and the same can be said of other regions in the country. After a few decades of racing without many of the Chattanooga area tracks, several drag strips began promoting nostalgia drag events on a regular basis. Paradise Drag Strip in Calhoun, Georgia, has two major nostalgia meets per year, which brings out a great crowd of vintage drag cars, such as this wheelstanding front-engine dragster. Paradise Drag Strip is still going strong, even after more than fifty years in operation. Along with the nostalgia events, Paradise runs a weekly bracket-racing program on Sunday afternoons. Even with track improvements, Paradise still has the vintage feel with its uphill burnout area and old-school timing tower. Although it is a little out of the 100-mile range, 411 Dragway in Seymour, Tennessee, holds at least one nostalgia drag event per year. Unfortunately, recent tribulations between property owners and the track management have put a damper on the track’s future, despite many efforts to keep it alive. By the end of the 1990s, former racers were eager to catch up with their drag racing buddies, so reunion events began to pop up around the region. Not long after, a few drag strips began having nostalgia drag events, which prompted many retired racers to bring out their vintage machinery for all to see. Most of the nostalgia events are held at historic tracks. 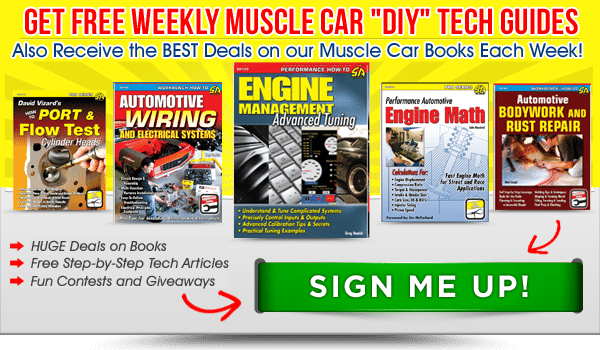 The young racers love seeing the diverse cars, while the drag racing veterans relive the good old days, with gassers, frontengine dragsters, and funny cars blasting down the track. All of the Chattanooga-area tracks that are still in operation have been shortened to eighth-mile lengths, but the nostalgia racing is fun to watch, regardless of the distance. It pays tribute to the racers and the cars of yesteryear, while offering a fun atmosphere for everyone involved. In the late 1950s drag strips were few and far between in the South. The West Coast guys were ahead of the game, but it didn’t take long for the gearheads back East to follow suit. Many towns had the necessary land for a drag strip, but Hixson was one of the first drag strips in the area. John “Buddy” Houts is responsible for presenting the idea to city and county officials, and he decided it would be best if the proceeds benefited a local charity. The Brainerd Optimist Club jumped at the opportunity. The drag strip featured a huge expanse of pavement, 3,160 feet long and 40 feet wide. A story ran in the Chattanooga News Free Press stating, “Beasts will roar every Sunday on Drag Strip built by Brainerd Optimists with police okay.” Trees were cleared, the land was leveled, and asphalt was poured before being sanctioned by the Automobile Timing Association of America and fitted with electronic timing equipment. The Brainerd Optimist Club invested $20,000 to build the track, and opened it to the public on August 11, 1957. After the drag strip operation moved to Ringgold, Georgia, in 1964, the giant strip of pavement was converted into a small airport—Dallas Bay Skypark. The beautiful piece of property doesn’t have any drag racing artifacts on it, but the underlying pavement definitely has a story to tell. Night racing stared in 1960, which increased car and spectator counts. The Brainerd Optimist Club began looking for a new piece of property after a few years of constant complaining from the locals. 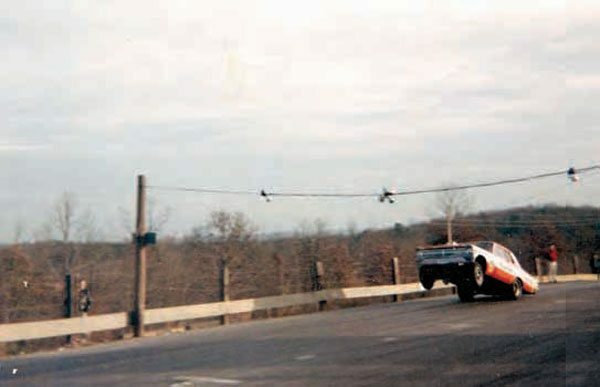 In 1964, the drag strip was converted into the Dallas Bay Skypark, which is still in operation today and the Brainerd Optimist Club moved its drag strip operation to a new facility in Ringgold, Georgia. Fast forward a few decades and Brainerd still has the same look. The old control tower on the left was torn down prior to the 2012 season and replaced with a new building in a different location. The new management team did lots of work to prepare the track for serious racing action. After moving to this brand-new facility in Ringgold in 1964, the Brainerd Optimist Club continued to support the Chattanooga area drag racing scene. The new track was conveniently located right off Interstate 75. The only problem with the location was the fact that the property is in a low-lying area near a large creek. What eventually became known simply as “Brainerd,” the drag strip was a huge success in its early days. Throughout the 1960s and 1970s, Brainerd flourished and kept a steady flow of racers and spectators coming through the gate on a weekly basis. Moving into the 1980s, Brainerd carried lots of momentum as one of the great tracks in the Southeast. Large pits, good seating, and a well-prepped racing surface made it a great place to race. The IHRA selected it as home to one of its national points meets. Originally a quartermile drag strip, Brainerd was one of many tracks shortened to an eighth mile due to increased safety regulations. During the early 1990s, the track went through a few changes and operations were eventually taken over by a new lessee, Steve Longley. He was one of the first track promoters to offer a large purse and a somewhat organized rule set for outlaw street car racing. By 2005, the outlaw scene had outgrown Brainerd, so it was back to index and bracket racing at the historic track. At the end of the 2011 racing season, the Brainerd Optimist Club again took over operations from Steve and his crew after seventeen years of hard work. In the past decade, the track has been completely underwater several times, damaging the racing surface as well as the buildings on the property. The buildings were repaired, but the pavement is not up to the standards of ten years ago. Big changes may be in store for what is certainly Chattanooga, Tennessee’s hometown track. When Paradise Drag Strip was built in 1961, it already had some competition to the north and to the south of Calhoun, Georgia, but its owner and founder, Otto Timms, felt confident that it was a necessary addition to his community. He was a hard worker, and kept his day job while he built the track and ran the operation. Throughout the years, one thing was certain—if you visited Paradise Drag Strip you would see Otto in the pits or on the track. He was truly in his element, even into his elder years, when Alzheimer’s disease began to degrade his health. Starting in 1961, Paradise Drag Strip was a hotspot for Super Stock drag racing. The quarter-mile track was narrow and featured shin-high wooden guardrails. Among many track improvements over the years, Otto added a unique timing tower between the racing lanes, just before the starting line. Another interesting feature of Paradise Drag Strip is its uphill burnout box and its slightly uphill starting line. An uphill shutdown area made for safe stops in most cases, but the track was eventually shortened to eighth-mile, just like all of the other unsanctioned tracks in the area. Your eyes aren’t fooling you—the starting line at Paradise Drag Strip is not level. 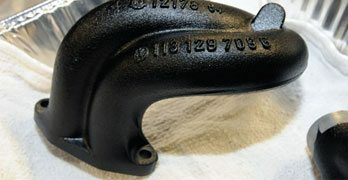 In fact, any manual-transmission cars without a line-lock rolls out of the beams if the driver isn’t paying attention. Paradise is still in good working order, and holds several nostalgia drag events each year. Racing activity took a hit in the later years at Paradise, but a revived interest from the nostalgia drag racing crowd brought spectators to the track a few times a year. With the majority of regular bracket races occurring on Sunday, Otto always had a strict rule that no cars could be started until church let out across the street. Otto Timms passed away in his home at approximately 2:00 pm on February 27, 2011, during a regular Sunday bracket race at Paradise. His family had always been a big help at Paradise, so they continued operation of the track, paying tribute to the man who built it with his own hands and ran it for fifty years. His wife, Carol, along with their children and grandchildren, still work at Paradise, but it will never be the same without Otto. 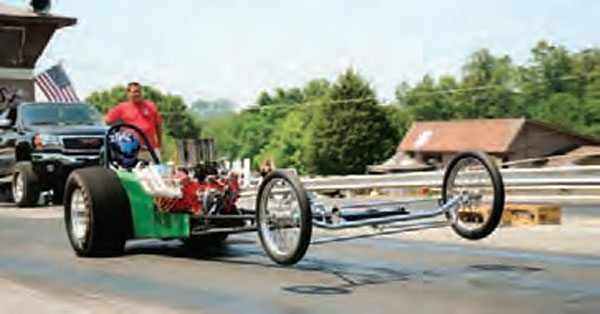 A lack of flat ground didn’t deter Bill Hembree from building a drag strip on the outskirts of Blue Ridge, Georgia. Constructed in 1963, Double H never had guardrails, but this outlaw atmosphere is what made Southeastern drag racing so popular. During its prime time, Double H Drag Strip hosted a number of match races, along with its regular Gas classes and a special class called “Cheatin’ Four Barrel,” which was designed for cars that didn’t quite meet the requirements for the Gas classes. Double H never had a Christmas tree, always relying on a flagman to start the race. A small timing tower was located on the left side of the track, while the right side was the spectator area. The shutdown area was uphill, and featured a turnaround at the end, meaning the racers had to drive backward on the track, until a very narrow return road began near the actual finish line. It was certainly a unique facility. The Grand Opening was held on November 17, 1963, but the biggest moment for Double H Drag Strip came on Sunday, May 9, 1965, when it was the third and final track in a grueling three-day, three-track Super Stock event called the World Series of Drag Racing. 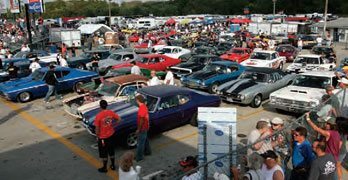 A purse of $1,000 per day was up for grabs, so racers came from as far away as Detroit, New York, and Louisiana to compete at Paradise Drag Strip on Friday night, Brainerd Optimist Drag Strip on Saturday night, and then Double H Drag Strip on Sunday afternoon. The three rules for this huge Super Stock event were: The cars must weigh no less than 3,200 pounds, have an unaltered wheelbase, and have an engine no larger than 427 ci. Shortly after this big event, the track faced hard times and operations were eventually transferred to Harold Miller. At this time, the track’s name changed to Lost Mountain Drag Strip but it didn’t last much longer after that. A little over a decade ago, the property was sold and the new owner, James Clack, added to the existing asphalt to create a runway for private use. He calls it the Blue Ridge Skyport. The new owner says that he lets some of his local gearhead friends make “passes” on the abandoned drag strip, so you can bet the spirit of the track is still alive and well, even though the last legitimate pass down Double H Drag Strip was in 1966. The oldest drag strip in this drag racing hub is Southeastern International Dragway. Opened on July 4, 1955, and known as “Red’s Drag Strip,” this track was owned and operated by Marvin “Red” Jones and located in Dallas, Georgia, northwest of Atlanta. The original drag strip consisted of a tar-and-gravel surface, with a racing length of 1,000 feet. A few years after opening, the drag strip was reconfigured to include an improved racing surface, but the old portion of the track still remained as the return road. At this time, the track was lengthened to a full quarter mile. On January 1, 1963, Charles Hardy took over operations, a big step up from his former job as flagman. Hardy’s family members helped run the track for quite some time. 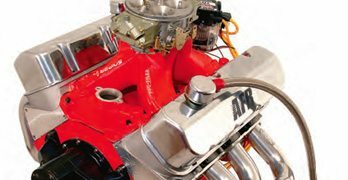 Moving into the heyday of Super Stock racing, Hardy had a great location and facility for big events, so it was common to see a huge turnout of well-known drivers at Southeastern International Dragway. Southeastern International Dragway underwent a number of huge changes in its later years, after being shortened to an eighth mile. The complete concrete racing surface gave the track a major facelift, and it’s still in great shape. Unfortunately, racing on this property is no longer an option. By 1966, the NHRA jumped on board to sanction the track, and actually held its Division 2 finals at Southeastern, with a packed house. Later in the 1960s, the track became a hotspot for Funny Car races, but it was decided to shorten the racing distance to 1,000 feet. All other classes were still allowed to run the full quarter. Eventually the track was shortened to an eighth mile, much like the other tracks in the area. A brand-new concrete racing surface revitalized the historic track in the 1990s. Gene Fuller took over as track manager, and helped boost the track’s popularity with cool class structures and interesting events. He promoted the track until its last event on December 11, 2005. The reason for closing was simple—the land had been bought and plans were made to develop it. Unfortunately for the new owners, the ground didn’t pass water dissipation/ percolation testing, so local ordinances did not approve building permits and they were unable to build on the property. The concession stand and bathrooms still stand, but the tower has been burned to the ground and all of the guardrails and bleachers have been scrapped. The racing surface is still intact, but due to the change in ownership, it can no longer be grandfathered into the local ordinances to operate as a drag strip. Although northern Georgia and northern Alabama had plenty of drag strips, venturing north of Chattanooga gave racers more choices. Northwest of the city was Smithville Drag Strip, located close to the downtown area of Smithville. It was just off Miller Road, less than 2 miles away from downtown. At the time, the track was quite popular with the locals, although it didn’t have as big a following as some of the other tracks in the region. It did, however, serve as the home track for legendary Super Stock racer Charlie Lee, who campaigned a race-winning Chevy II for quite some time. The track never turned into a major attraction, but it did provide a great place to race. Unfortunately, a tornado came through Smithville in April 1968, causing severe damage to the drag strip. Among other damages, tin fencing that surrounded parts of the drag strip ended up scattered around the area. It was decided that the damage was too severe to consider rebuilding the track, so the property owner stripped the drag strip of its goods and split the property into a housing subdivision. The old pavement is now Earl Avenue, which is the main street through the neighborhood. There isn’t much left of Lloyd’s Drag Strip, aside from the actual strip of pavement. All other artifacts have been removed, as the property was developed into a small neighborhood. The uphill shutdown area is long gone, but the main part of the track is still visible. With a name like Lloyd’s Drag Strip, you might be able to guess the guy’s name who started it all. Lloyd Young built the track in the mountainous town of Blairsville, Georgia. The location of the track was convenient for the mountain men of Georgia and North Carolina, but its backwoods location certainly kept it from growing into a big-time track. The drag strip opened in late 1962 and only featured a small concrete launch pad—the rest was packed dirt. Huge improvements for the next year of operation meant a fully paved racing surface, which measured 1,056 feet in length. At one-fifth mile (sometimes referred to as twotenths) the track was different than most Chattanooga-area tracks at the time. Lloyd’s had an uphill shutdown area, with no return road until you got closer to the finish line. With no lights, the track always ran races during the afternoon, generally on Sunday. 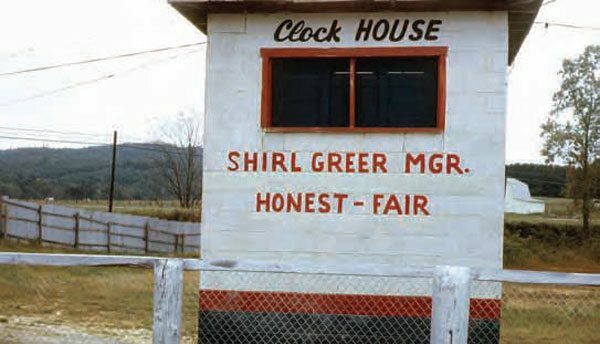 Early in its life, the track didn’t have electronic timing systems either, but changed to a homemade timing system in the later years of operation. To run the timing system, a man sat at the finish line with a battery-powered telephone and flipped a switch when the car crossed the finish line. This switch turned on a light, which signaled someone in the timing booth to stop a hand-held stopwatch. The finish-line watchman then told who won via telephone. As you can tell, Lloyd’s Drag Strip wasn’t exactly a high-tech facility, but it gave folks a place to race. Lloyd’s never had scales, so class structure was a bit different than at most tracks, which used the car’s weight and cubic inches to determine its class ranking. 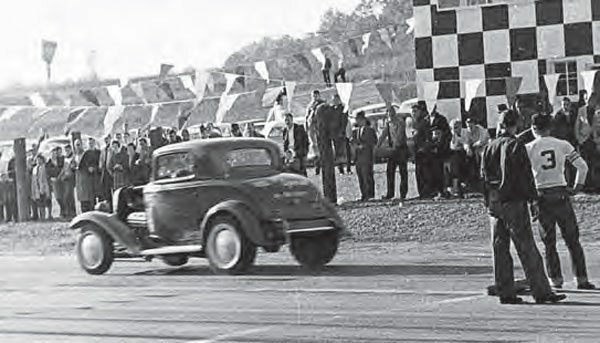 Similar to its neighboring track, Double H Drag Strip in Blue Ridge, Georgia, Lloyd’s offered Super Stock classes as well as the popular Cheatin’ Four Barrel class, which had limited rules. As the 1960s rolled on, the track didn’t keep up with the times, and eventually closed. The pavement is still intact to this day, and serves as a private driveway to a few houses in the area. Located north of Chattanooga, this drag strip in Harriman, Tennessee, was a popular destination for local racers. Its location made it accessible to racers from Chattanooga and Knoxville as well as from Nashville and even Kentucky when a big purse was announced. Throughout its run from 1956 to 1972, it was never sanctioned, but held numerous events at its no-frills facility. Super Stock events were a big draw in the mid to late 1960s, and there were even a few Pro Stock match races held at Harriman during its last couple years of operation. The landscape would be considered odd these days, as the drag strip was constructed very close to the Emory River. 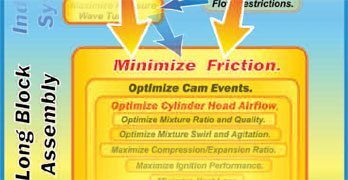 So close, in fact, that a stuck throttle or brake failure could potentially send you into the water. The flat ground near the river was one of the only options for a drag strip in the hilly town of Harriman, so the lake lot turned out to make a great track. 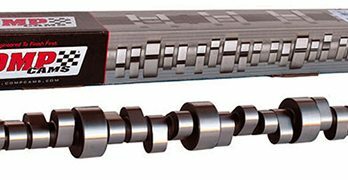 Harriman was always known for its roughneck qualities, as it was a fair distance off the beaten path, and a general lack of rules made for some hostile situations. 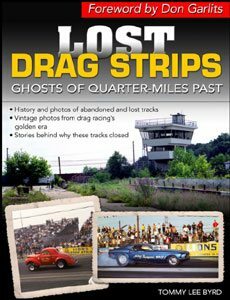 When Harriman Drag Strip closed in 1972, it wasn’t kept clean, so trees took over the property and completely hid the remains of the track. Now that it has been sitting vacant for more than forty years, small portions of pavement are all that remain. Like many Southern tracks, it only survived a few years after safety concerns caused a major ripple effect throughout the industry. With no guardrails and little-to-no safety precautions, Harriman Drag Strip was a typical outlaw track of the time. 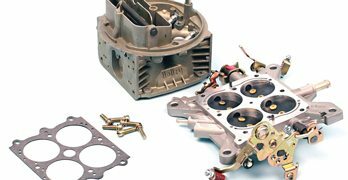 The track went through several ownership changes during its existence, but when it shut down, that was it—no more drag strip. The property wasn’t kept up after the closing of the track, so you can imagine what forty years of neglect can do to a place. Small patches of pavement remain, but the rest of the track has been reclaimed by the earth. 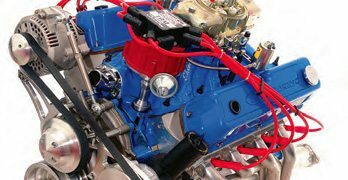 While it may not have the legendary status of the well-known Green Valley Raceway in Texas, this “other” Green Valley Drag Strip has a legendary status in the opinions of its former racers. It was the go-to track for quite some time, for Chattanooga racers. Located in Glencoe, Alabama, Green Valley Drag Strip was built in 1959 and was originally a full quarter-mile track. When it was opened, the track had four lessees who each had a stake in the property and business, but its glory days were during Milton Henson’s management. Woodrow (Woody) Miller owned the property throughout all of the different lessees and track managers that cycled through. Milton began managing the track in 1960, promoting all sorts of events including a great number of Super Stock meets as well as countless match races with folks such as Don Garlits and Tommy Ivo. During the first decade of his management, Green Valley was unsanctioned but used the NHRA’s rules. Later, the IHRA sanctioned the track and held points races, which brought in a lot of business. In 1977, Green Valley was shortened to an eighth mile, following the trend among many of its neighboring tracks due to safety concerns. Green Valley closed the drag strip in 1994, but reopened a couple years later, only to close again for good in 1997. On the same piece of property as the drag strip was a clay dirt oval track, which drew thousands of spectators on a regular basis. Then, in 1963, a motorcycle flat track was built and sanctioned by the American Motorcycle Association. Currently, the dirt track still exists, while a smaller oval is used for go-kart racing. The drag strip sits vacant. The retired strip is generally used for parking, and no longer has a tower or other buildings. As of this writing, there are no plans to revitalize the drag strip. One of the closest drag strips to Chattanooga was Drag City, located in Ringgold, Georgia. 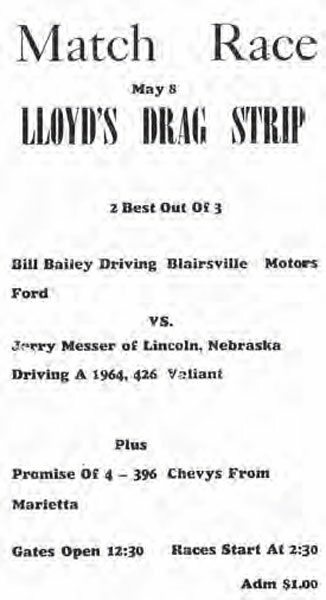 You may remember that Ringgold had another drag strip in this same time frame (Brainerd Optimist Drag Strip, page 160), but both tracks operated simultaneously without any major problems. Drag City opened in the early 1960s and served as a great home for Gassers and Stock class racers. Drag City was a fifth-mile track (1,056 feet) even when other local tracks were running quarter-mile races. The timing and light system was far from sophisticated, utilizing an old traffic light as the Christmas tree for several years. Even when the lights were upgraded to a proper fiveamber Chrondek tree, the old traffic light remained in place. As for the landscape, Drag City was in a fairly flat part of town, just off Highway 41, but a steep elevation came on the return road. A sharp right-hand turn at the end of the track sent racers into an uphill, single-lane return road that circled back around to the unpaved pits. Funny Car legend Shirl Greer served as track manager, giving him a great place to test his creations. His involvement with the track also helped when it came to promoting big events. His Funny Car brethren visited the track many times, especially in the 1970s. As soon as the IHRA came onto the scene as a legitimate governing body, Drag City picked up sanctioning from that organization. By 1984, the track had reached the end of its life cycle, and was stripped of all its guardrails, buildings, and timing equipment. The property was subsequently sold to a church, which quickly realized that the land was susceptible to flooding. They couldn’t build without a lot of preliminary excavating work. At the time of printing, the 38-acre piece of property was for sale with an asking price of only $275,000. One of the most interesting abandoned race tracks in the Chattanooga area is Loudon Raceway, near Knoxville. The track had a good following of racers, but closed before the TVA flooded the land during the controversial Tellico Dam project in 1979. The silos were part of the farmland where the track had been built. Loudon Raceway was another hometown Southern track essentially in the middle of nowhere. To get to the track, you took an old farm road that cut through a few hundred acres of farmland. It was a scenic setting, which was normal for the area, but it didn’t lend itself well to huge events, or the potential for growth in the area. The track was a decent haul from the Chattanooga area, and got a great mix of racers from the Knoxville, Tennessee, area as well. The town of Loudon was rather small, but the drag strip drew folks from all around in its heyday. 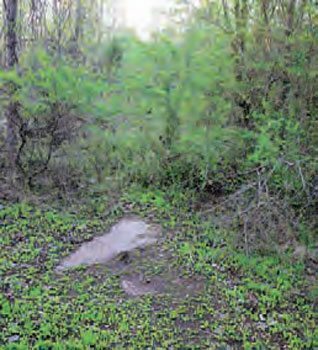 Although the track closed in the 1970s, the remains might still be around to this day if not for one strange occurrence. The property of Loudon Raceway is now completely underwater, thanks to the intentional flooding of the area in 1979. The Tennessee Valley Authority (TVA) built the Tellico Dam as one of its many power sources, but an opposition uproar was heard when an endangered fish was discovered in this section of the Little Tennessee River. Many of the Snail Darters were transported to the nearby Hiwassee River, but the drag strip did not survive. 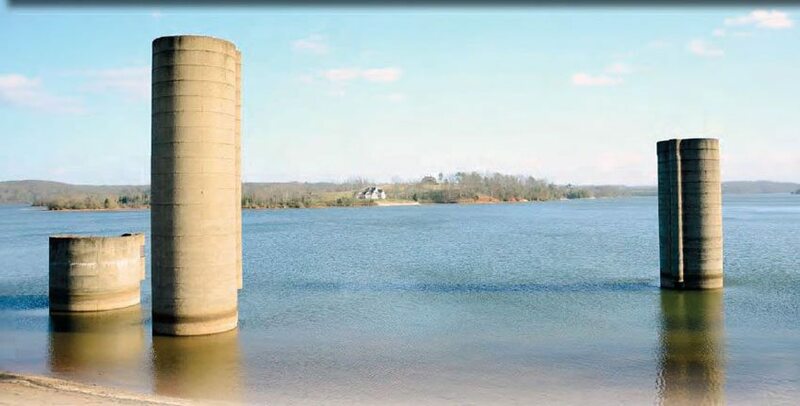 Although several holdouts remained in their houses until the final few days of dry land, the area was indeed flooded on November 29, 1979, and Loudon Raceway was never seen again. However, you can still see a couple of silos poking up out of the water, reminders of the farmland that the drag strip was built upon.